Audition at Hanford Mall (March 2), and possibly perform at Chukchansi Park during the 2019 season! The Fresno Grizzlies are searching for National Anthem singers for the 2019 season at Chukchansi Park. One more live audition event is scheduled for Saturday, March 2 at the Hanford Mall Food Court (1675 W. Lacey Blvd, Hanford). Open auditions will last from 11 a.m. to 2 p.m. Anyone is welcome to audition, and each event includes day-of registration for anyone trying out. Each person auditioning will be required to sing/perform at least 30 seconds of a song of their choice; the Star Spangled Banner does not have to be performed at the audition, but is encouraged. Musicians who plan on playing the anthem on a musical instrument are also welcome to audition. "The Central Valley is filled with people with amazing voices and musical skill," said Grizzlies Events & Entertainment Manager Ray Ortiz. "Performing at the ballpark gives people the chance to showcase that talent in front of the largest crowd possible in our area during the spring and summer. 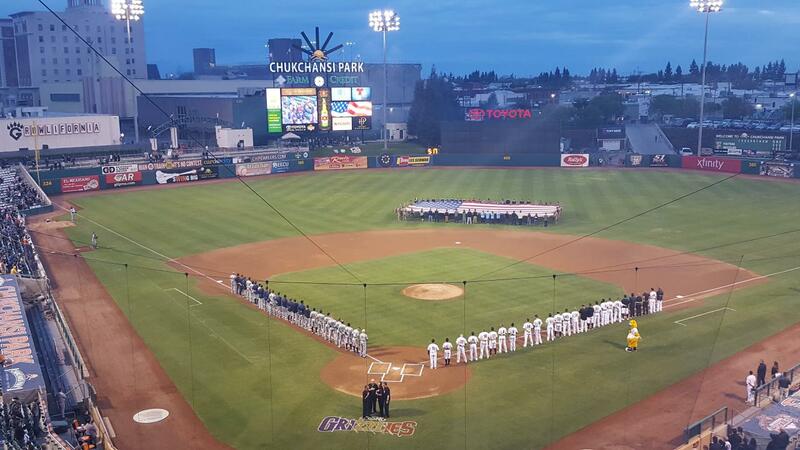 You can't start the game without a great National Anthem; many nights it sets the tone at Chukchansi Park. We can't wait to see who will perform with us in 2019!" With 70 home games, there are several anthem spots to fill. Newcomers and those who have performed at the ballpark in the past are welcome, and are asked to arrive to each audition site with time to spare.